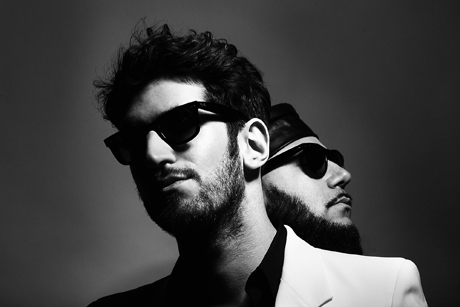 Chromeo's recent Business Casual album demonstrated the duo's growth away from tongue-in-cheek retro cheese and into sonic maturity, with songwriting taking the central role in their music. As always, the band prove most interesting and fun in their music videos, which is why we're happy to present a brand new clip for "Hot Mess." If you like models in cop uniforms, choreographed dance moves, co-ed shower scenes, synchronized swimming and, well, Chromeo's P-Thugg without a shirt on, then this video will hit all the sweet spots. The clip was directed by boutique French clothing and art collective Surface to Air, so you know it's got that European class. Stream Chromeo's "Hot Mess" video below.